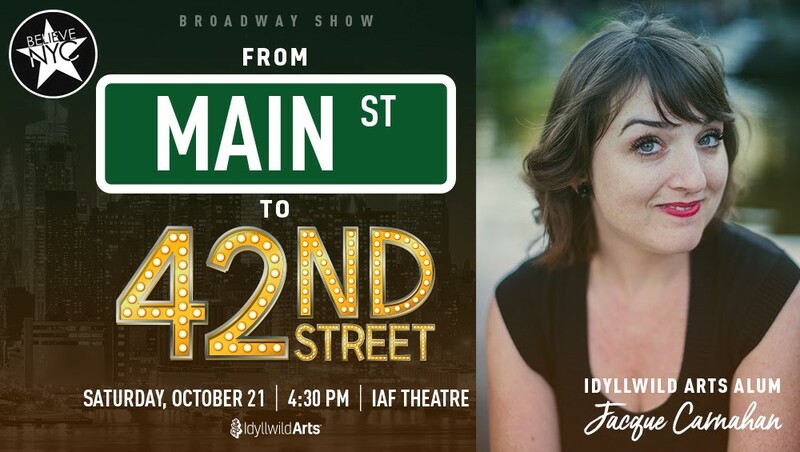 This is not only the north star guiding Jacque Carnahan’s career path, it is the central message of her one-woman-show, From Main Street to 42nd Street, which she will bring to Idyllwild Arts Academy’s Bowman Theatre on Saturday, October 21, at 4:30 pm, to highlight the school’s Family Weekend. 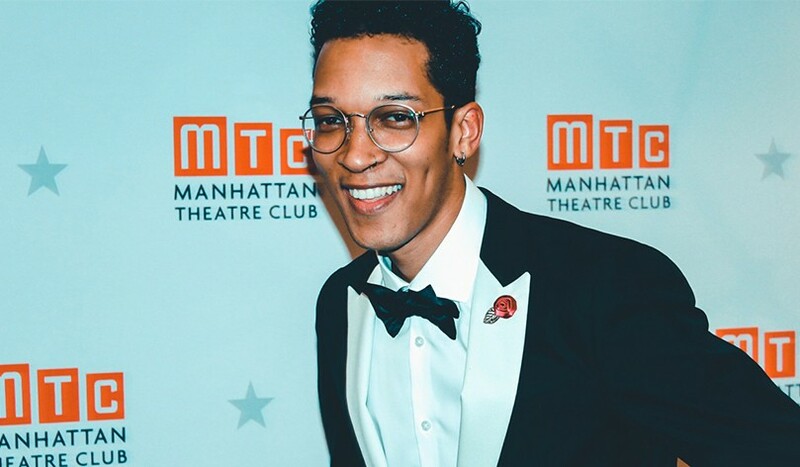 As Artistic Director of Believe NYC, Jacque educates and motivates young aspiring actors, dancers, and musicians from around the country as they travel to New York. Offering workshops, performances, and Q-and-A’s with New York City professionals, Believe NYC helps eager artistic students learn about career opportunities in the performing arts. As Artistic Director of her own company, Jacque knows that even the most impossible dreams can come true. Indeed, “impossible” is not a word that exits in Jacque Carnahan’s vocabulary. From a young age, Jacque learned that with hard work, impossible dreams are attainable. She first learned this lesson at Idyllwild Arts Summer Program. Once Jacque had a taste of Idyllwild’s training she knew, “I have to be at the Academy!” She officially had the theatre bug, and Idyllwild Academy was the only answer. Even with the financial aid offered, however, her parents could not make ends meet. They did not know what to do. Her Idyllwild dream seemed impossible. “So I decided to write to all of the people who supported the arts in my community and ask for money.” 12-year-old Jacque mailed hundreds of letters to anyone whom she could imagine might help. “I was crazy!” Yet, somehow, her “crazy” idea worked. Over a hundred people, inspired by her perseverance and ambition, donated a total of around 40 thousand dollars towards her education. From that moment on, Jacque learned that impossible dreams come true, just in unexpected ways. The next impossible dream she is pursuing? “Writing two new musicals.” Jacque continues to challenge herself with new artistic pursuits. 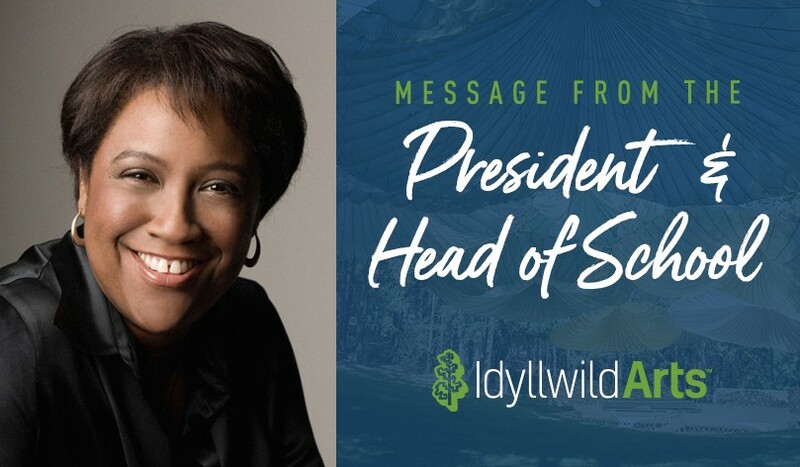 She is forever grateful to Idyllwild for opening the doors of what an arts education can do. 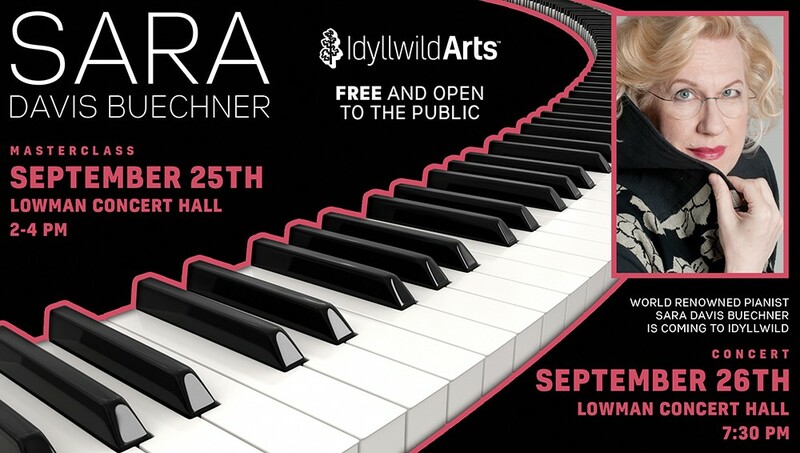 The master pianist who will teach Idyllwild Arts Academy’s piano majors on September 25th, knows all about connecting with listeners. That knowledge will be displayed on campus the following day in a concert that, like all performances at the Academy, will be free and open to the public. Buechner, who “knew from her earliest memories she would be a musician,” began studying piano at the age of three, in her home in Baltimore. Her personal experience of the gift of youth includes being awarded the American Pianists Association’s first Beethoven Fellowship when in her early twenties and then, five years later, winning the bronze medal in the International Tchaikovsky Competition. Having already released almost twenty CD’s, she says “I couldn’t be more pleased to have youth on my mind” while looking forward to teaching Idyllwild Arts Academy’s teenagers and preparing for “my biggest project to date.” That’s her next recording, a year from now. It will be of a live broadcast from Kyoto, Japan, of the complete sonatas of the composer whose name represents precocious brilliance like no other: Mozart. 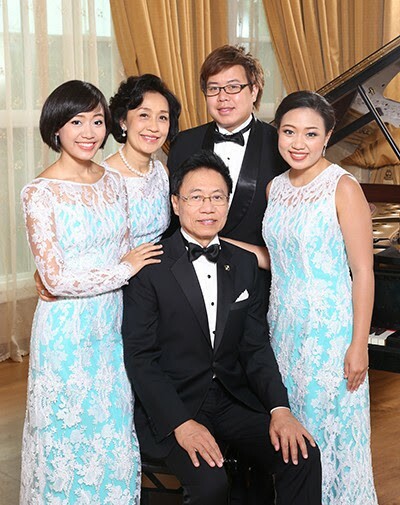 Several members of Thailand’s musical Yontararak family will perform on Tuesday, October 10, at 7:30 pm, in the William M. Lowman Concert Hall on the Idyllwild Arts campus. The family boasts a pair of award-winning pianists: Nat Yontararak and his son, Pana. The elder Yontararak is also a composer, one of whose works was presented at the United Nations in 1995 to commemorate the General Assembly’s fiftieth session. But Nat has been known primarily as a performer ever since he won first prize in the Siam Music Festival in 1971, when he was only sixteen. He has toured Europe as well as the United States, often performing in order to raise money for his favorite causes, including elephant conservation and bone-marrow transplants. 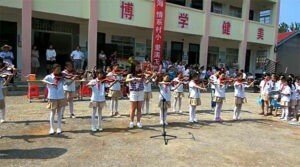 Nat promotes classical music in his native country by running his own music school, staffed in part by his family. Thailand’s classical music scene is also enriched by the Sala Sudasiri Sobha concert hall, which he designed and built—Nat holds a bachelor’s degree in architecture—and which hosts performances by the country’s finest young musicians. As for Nat Yontararak’s son, Pana, his prizes include a second in the Concours de Piano de Chatou, in France, and a third in the Riviera della Versilia Piano Competition, in Italy. He achieved a significant breakthrough by becoming the first pianist from his country to be accepted by and to graduate from the prestigious Francesco Morlacchi Conservatory, in Perugia. 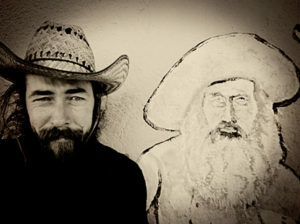 Having inherited his father’s philanthropic impulses, Pana has toured the United States annually for many years to raise funds to combat blood diseases. 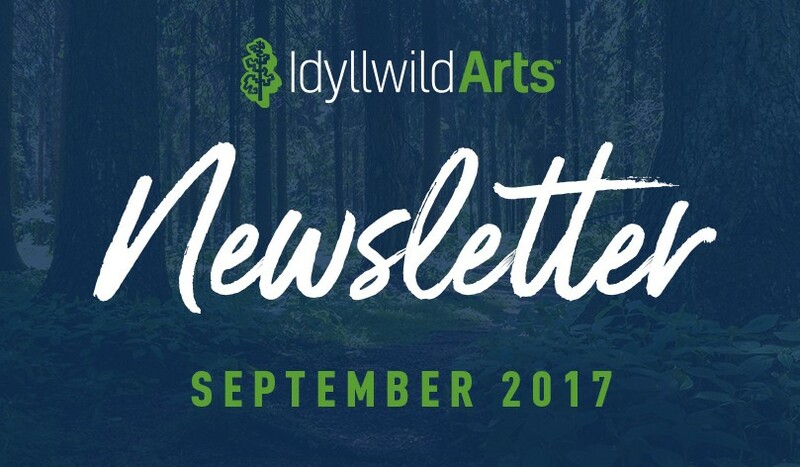 The William M. Lowman Concert Hall’s world-class acoustics—designed by the acoustics engineers for the Sydney Opera House—will enhance the sounds of an unusual concert on the Idyllwild Arts campus next month. California-born composer Braden Diotte’s electroacoustic work, General Manifest, will be presented on Saturday, October 14, at 7:30 pm. He recalls the train rides beginning “with an infatuation with the mystery of howling train horns in the night, wondering where they’d come from and where they were headed.” They took Diotte “further and further from home,” exposing him to “lethal dangers” that were “a few steps away in any direction.” But eventually “an unusual feeling of calm settled in,” evoked by General Manifest. He is a multi-instrumentalist who holds an M.F.A. in Experimental Sound Practices from the California Institute of the Arts. More of Diotte’s experimental work will be on display in downtown Los Angeles on November 17 and in the UK from November 23 to December 1, on tour as a guest collaborator with the pioneering German krautrock band Faust. Next year, in addition to the release of his recording of General Manifest, Diotte looks forward to premiering Extraordinary Angels. Written for synthesizers, voice, and percussion, this composition is inspired by the stories of alien abduction from the Southern California desert that became epidemic after the end of the Second World War. Don’t expect Derrick Ortega’s book of poetry, which University of Arizona Press will publish next year, to test your coffee table’s muscles. His forthcoming chapbook, from Three Count Pour Press, will be even shorter. But poetic language in its brevity can work miraculous feats of strength. Derrick’s plan is for one such feat, that of reconciliation, to be the subject of his doctoral thesis, for which he’ll begin his studies at USC or one of the Southern California UC’s in the fall of 2018. Reconciliation presupposes anger and division, and Derrick concedes that anger can be justified. He calls the specifically Latino concerns of his work “present, though not central,” since trauma is not limited to that often marginalized community. Poet in Residence is a two-year appointment at the Academy. 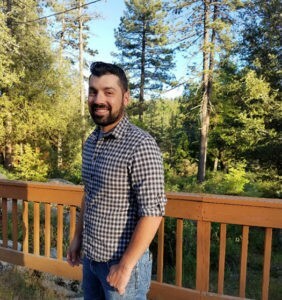 This year Derrick is teaching the Creative Writing Department’s Introductory and Advanced Poetry Workshops, plus its Multi-Genre Workshop for non-majors, as he did in 2016-2017. Ashley Leung was still eating when she spoke via Skype this past June. It was seven in the morning in Hong Kong, but the temperature was almost eighty degrees and the humidity was in the low nineties, with thunderstorms predicted every day for the foreseeable future. Her face looked unhappy when it reappeared on the screen. 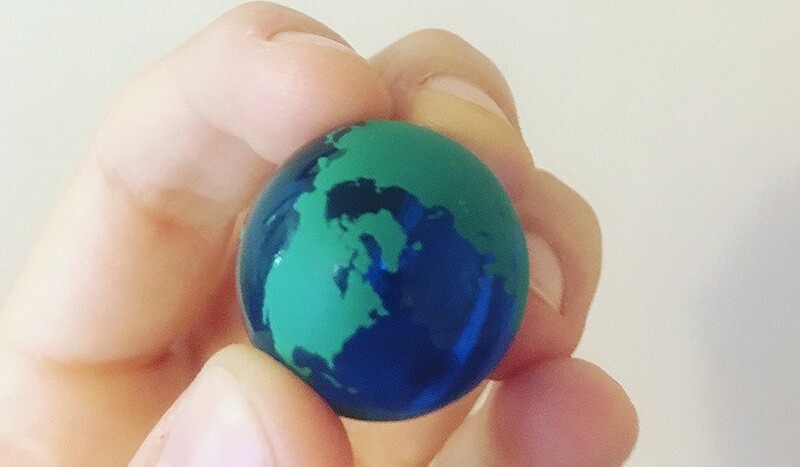 She knows this because a friend of her father had studied there and later donated two dozen computers. Ashley, a violinist, was joined by classical pianist Wanying Cao, Voice majors Chris Luan and Abby Xiao, and Visual Arts majors Martin Guo and Lynn Ling. Early in the interview she had said that she likes the beach. Weather permitting, would she go today? 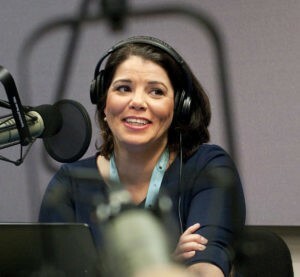 For her daily National Public Radio show, On Second Thought, the Music Theatre major from Idyllwild Arts Academy’s first graduating class, in 1987, must coax conversation out of guests who, like many of us, have fallen into the habit of communicating from behind electronic screens. Hiding your phone—not simply putting it down, since a cell phone’s mere presence can be distracting—is one of her many proven, practical suggestions for strengthening our connections to one another. The brand-new school’s tiny Music Theatre program allowed her to take oboe lessons while also cultivating her love of Broadway. As her voice matured, she discovered that it was as well suited for opera as for Andrew Lloyd Webber. Besides hosting her show, singing professionally, and traveling the world for speaking engagements, Celeste has raised a son, now in college. She emphasized the necessity of a strong work ethic when speaking at this spring’s special luncheon for graduating Academy seniors.